I try to practice for at least an hour everyday, but when I’m on the road, it’s hard to squeeze time in for practice. Last year, I completed a project 365 where I committed to practice everyday whether in sickness or in health, at home or on the road. 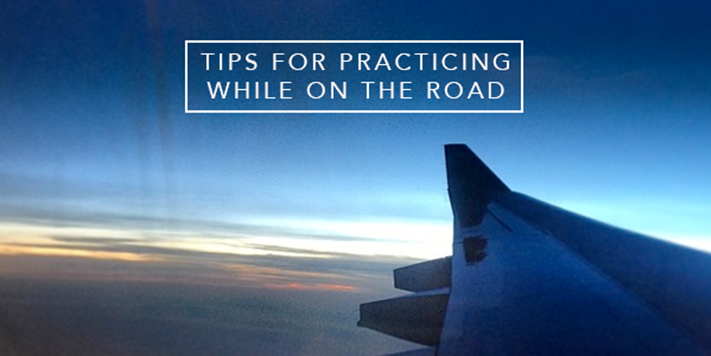 This resulted in my practicing in some rather strange places such as my car, hotel rooms or wherever else I could manage and so, I’d like to share a few tips with you for finding time to practice while traveling. 1. Bring a music class with you. There are tons of great music classes online on everything from music production to songwriting to improvisation. Even if you can’t bring your instrument along, you can find time to practice other aspects of your music with an online course. 2. Visualization. Read your music without your instrument. Pay attention to the dynamics, the articulation, the accidentals. Go over it in your head. 3. Air guitar. Or saxophone. Or trumpet. Take your visualization practice to the next level by trying to finger along. You might find it more difficult than you think. 4. Bring a smaller instrument along. Sometimes this isn’t ideal, but it’s a great way to work on a double (unless there’s a smaller version of your instrument available). For example, you could bring your soprano sax along rather than your tenor or even flute/clarinet. If you’re a keyboard player, you can bring a small keyboard along with you. As trumpet player you can bring just your mouthpiece to do exercises and warm-ups with. As a guitarist you could bring a mandolin or ukulele or a backpack travel guitar. 5. Your voice. We’re already equipped with an instrument! No need to take an extra one along. Practice ear training by using your voice to sing the music you’re working on or sing along to recordings. 6. Find local jam sessions. If you’re staying at a hotel, the other patrons might not appreciate you practicing (depending on how loud your instrument is), so before you travel, check out local jam sessions in the area. It’s a great way to meet musicians, get some playing time in and explore the local music scene. Check out our jam session directory to get started. 7. Active Listening. Really listen to music. Stick some headphones on, close your eyes and do nothing but listen. Take notice of the structures of the songs, if you can transcribe any parts of the song in your head without your instrument, the melody, etc. 8. Take a break. Sometimes a break away from your instrument and practice can do wonders for your playing. 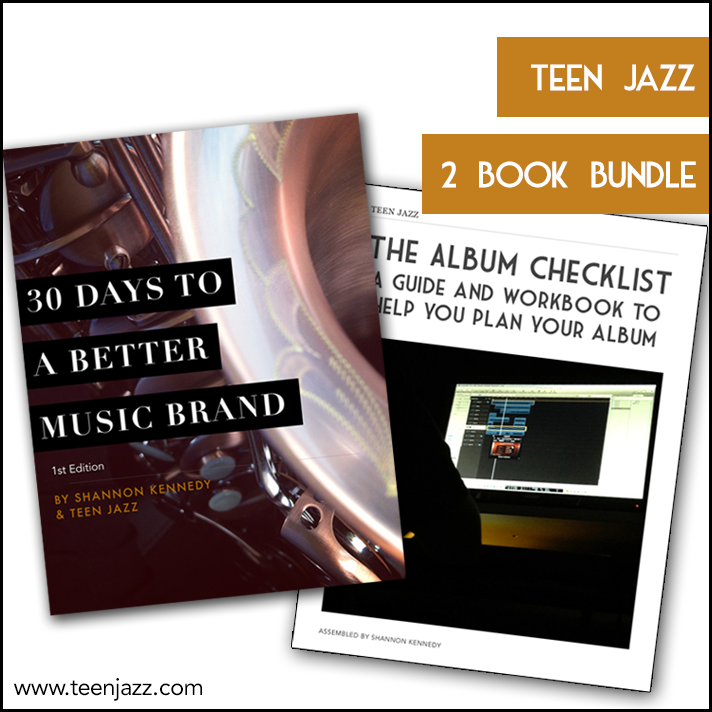 As a saxophone player I tend to write quite a few articles for sax players here on Teen Jazz. Here’s a roundup of all the saxophone advice you can find on the site so far. My name is Leo Potts and I’d like to share with you some concepts of the Lindeman-Sobel Approach to Artistic Wind Performance. The concept that I’m dealing with is that I never have my fingers down before I play. It’s all about airstream, articulating with the tongue, and fingers meeting at the same time, creating that first note. You know what, we can use this analogy, it’s kind of interesting. If I’m playing baseball, let’s say. The idea is that I have my bat and the pitcher throws the ball and I swing, and the bat and the ball meet to create that home run. That energy. That’s what happens when I don’t have the finger down. It’s right there. Now the other way, if I already have my finger down, it’s more to me like it’s like I stick the bat out there [places hands together in front of body] the pitcher throws [the ball] and I hope, that maybe, he might hit the bat. This is my concept of producing the perfect note. I’m not going to have a finger down before I play, so I’m feeling the pearl on my finger. Ready to put that finger down. Feeling that energy. Now I’m going to breathe from the diaphragm. In one continuous motion, the articulation, air meeting the finger as it closes. No [pause], [the air is] through into [the finger]. 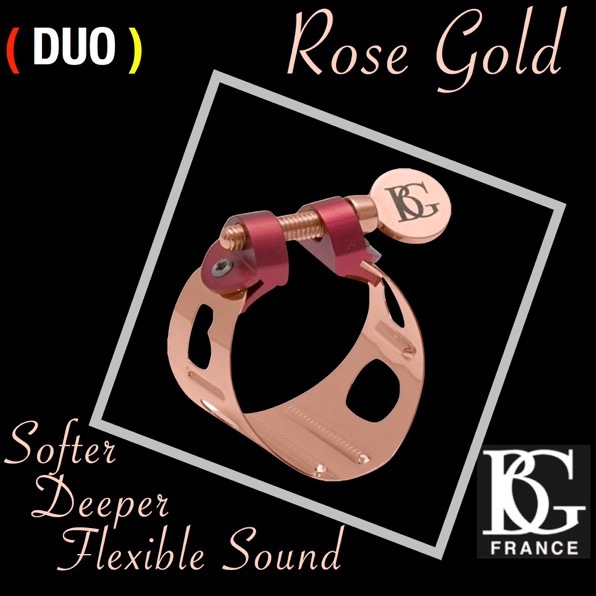 It’s a much richer sound. The fundamental of the sound is there and it doesn’t sound tight. It’s open and singing. And that’s really what I’m trying to do all the time. Air and fingers meet to create that. So that’s a concept that I’m dealing with. Try it. Work on it and see how you like it. And enjoy. Now I’ve a balance of tone quality. Nothing is sticking out, nothing is popping out. The upper note is not exploding on me. Something I find very helpful is to practice in front of a mirror. This way, you can see your fingers. You can see if you’re really keeping your fingers on the pearls. And now you’ll be able to hear the difference. Your tone quality will be the same. The line will flow and actually, it will be easier to play. So the next time I’ll be in your area, I hope you’ll come and join me for my master clinic and hope to see you then. Thank you. As part of this podcast episode, we give you tips to improve your performance – whether you sing or play an instrument with six tips. We also feature the music of saxophonist Jason Weber (you can read our interview with him here), Sudbury & Ramos, and bassist Darryl Williams (who hosts several really awesome jam sessions in Southern California).